While the weather’s getting nicer now and the days longer, the sun is setting on this excellent Kindle Paperwhite deal over in the Amazon sale. This £20 discount on one of our favourite ever ereaders means you can enjoy unbeatable range of ebooks for less with a temporary price-tag of just £99.99 at Amazon. Hurry though, as it’ll be going back up to the full RRP at midnight. Once it’s been delivered you don;t even have to worry if those pesky April showers pop up while you’re out in the garden over the Easter weekend as this latest version of the Kindle Paperwhite is waterproof. And with a battery that lasts weeks rather than hours, you don’t have have to worry about putting down your digital page turner anytime soon. That’s the best price it’s been this year, it was a further £10 cheaper around Black Friday to be honest, but we don’t expect that deal to come back around until Amazon Prime Day 2019 in the summer at the earliest. This is the latest in the Kindle Paperwhite line, but Amazon has just launched an updated version of the standard entry-level Kindle. Unlike the previous cheapest Kindle, it will now include a backlit screen, just like the fancier Paperwhite and Oasis models. It’s £10 more expensive than the older one’s RRP too. Check out our full Kindle (2019) review. The screen resolution is still pretty low at just 167ppi compared to the Paperwhite’s far clearer 300ppi. This model is out in a few days’ time for £69.99, but we’d seriously recommend going with this Paperwhite deal instead thanks to the better screen, slicker design, double storage and waterproofing. 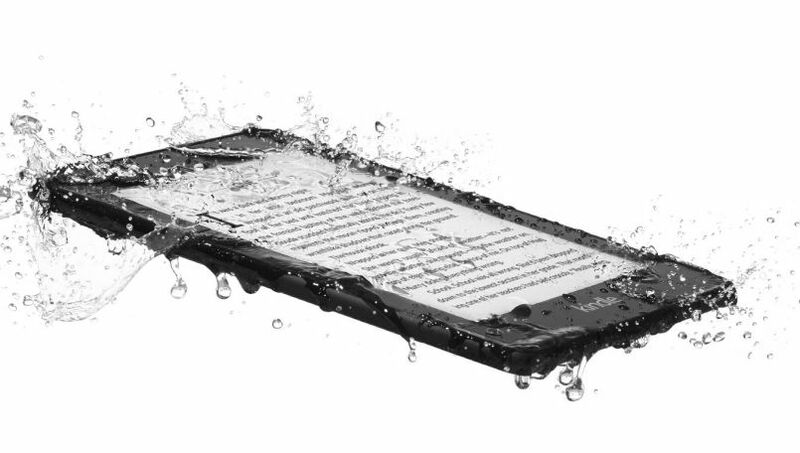 And don’t forget, a waterproof ereader isn’t just safer for reading in the bath, but we feel safer with it when travelling. Especially if you’ve ever been betrayed by a leaky drinks bottle in your bag!